Currently Peyton is in kindergarten and she is learning so much! One of her biggest challenges is sharing. Being an only child means that majority of the time it’s just her so she gets to play with her toys by herself, she gets the last of the ice cream, she chooses what cartoon to watch. See where I am going with this? Peyton does not have to share with another child or consider another child’s feelings most of the time. When she was younger that made for some interesting play dates. But now she’s nearly 6 and I can explain things to her and reason with her. Role Model Ricky’s Big Birthday Bash is a great book to help children see the benefits of being a kind, sharing and thoughtful person. Written by Jeremey and Janel Miller, Role Model Ricky’s Big Birthday Bash tells about Ricky’s birthday party. Ricky was able to have a huge birthday party with all of his friends because he had demonstrated what being a good role model is about. A good role model is someone who has good behavior, a positive attitude, listen to their parents and is nice to others. But during his birthday bash Ricky receives a train set that he really wanted. He couldn’t wait to play with it! And all of his friends wanted to play with it too. This caused a slight dilemma for Ricky. He really wanted to play with that train set all by himself, he was having a selfish moment. But we see how Ricky handles it. He thinks through his actions and goes through his list of what makes a good role model. Then Ricky decides that sharing with his friends is the right choice. And you know what? He had a blast playing with his friends and the train set! 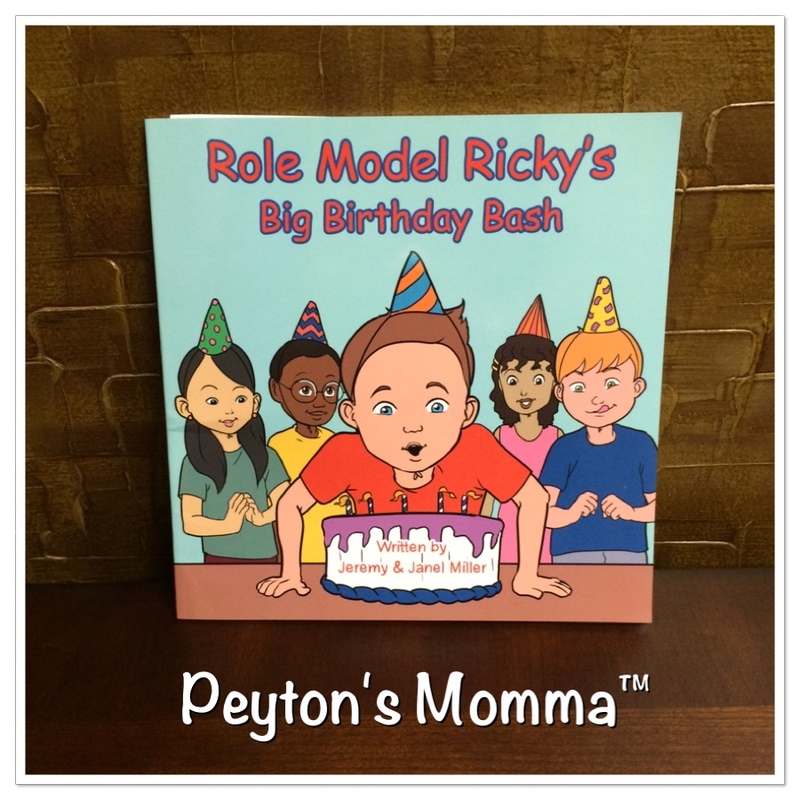 Role Model Ricky’s Big Birthday Bash is a wonderful book for preschool and up. Every child can use a little reinforcement of the qualities it takes to be a good role model. You can pick up your own copy of Role Model Ricky’s Big Birthday Bash on Amazon.